Pacific Northwest Chapter of WAEYC is a local association for the education of young children. 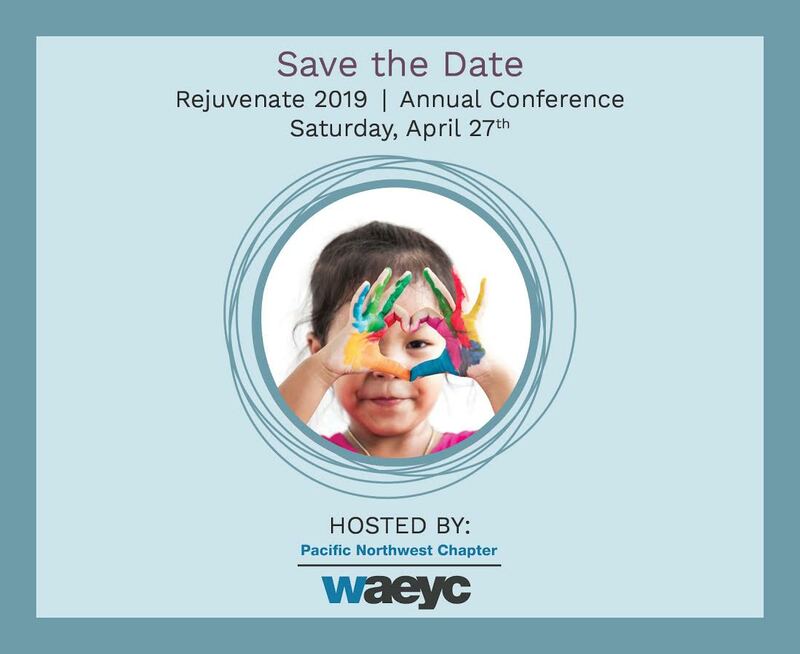 The annual Rejuvenate Conference, sponsored by the Pacific Northwest Chapter of WAEYC, takes place Saturday, April 27. 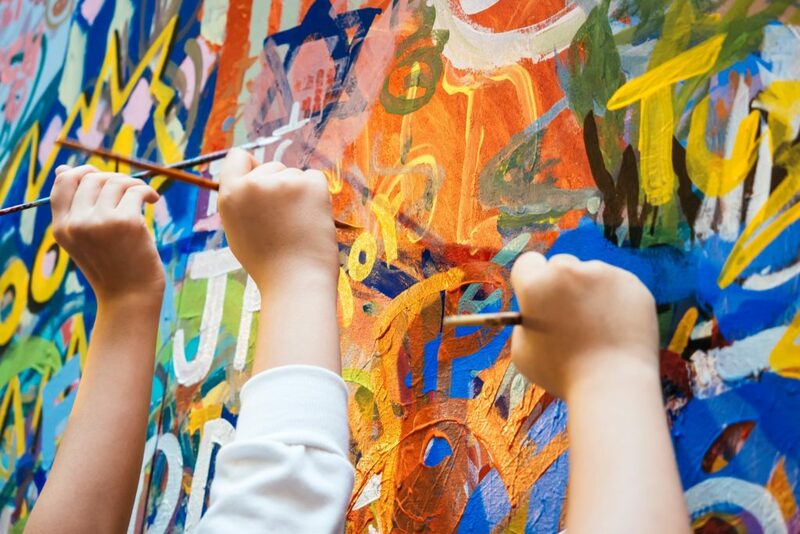 Please join us to learn fresh and innovative techniques for integrating math and literacy into arts experiences. The conference is geared to teachers of preschool, kindergarten and first grade students. Registration Deadline Extended: Register by Wednesday, April 17, 2019 at 11:59 PM. Conference Parking: Parking is available in the hotel garage entering from Wall Street for a daily rate of $3 or street parking is free in Everett on Saturdays. 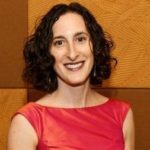 Rachel Atkins is a Seattle-based playwright and teaching artist. She is the scriptwriter for Living Voices/Theatreworks USA, the educational theatre company with whom she has twelve different multi-media shows in ongoing national touring repertory. Her plays have been seen locally with Book-It Repertory Theatre, Seattle Repertory Theatre, Seattle Children’s Theatre, Seattle Public Theater, The Empty Space, and at many more venues. She is a member of the ArtsWA Teaching Artist and Creative Advantage Arts Partner rosters, she works as a master teaching artist for Bringing Theatre into the Classroom, Book-It Repertory Theatre, Arts Impact, and A Contemporary Theatre’s Young Playwrights Program. Previously, she was the Scriptwriter/Dramaturg and Director of Education for Ardeo Theatre Project in France. She graduated from Dartmouth College and holds her Masters in Educational Theatre from New York University. Read more. 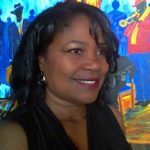 Grace A. Washington has been a professional artist for 25 years. She began her professional career as an illustrator and computer graphic designer. She later returned full time to her first art love: oil painting and began working as a fine artist. In addition to pursuing her fine art professional goals, Grace has taught art to children and adults. She also worked as a reading tutor for at-risk elementary students. Grace is most proud of and humbled by the art classes she taught to at-risk youths and adults as well as families battling with cancer. She earned a degree in Child and Family Development from American Public University, a certificate in computer graphics from Platt College in San Diego and is also a graduate of the Washington State Teaching Artist Training Lab. Grace’s art has been exhibited in Washington, California, Oregon, and Pennsylvania. Read more. Registration deadline is April 17, 2019 at 11:59 PM. Note: Registration is non-refundable. We love children- but, this is an adult-only event. Please let us know if you have any dietary restrictions so that we may plan accordingly. We are committed to an inclusive learning environment. Please let us know how we can best support you as a learner on this day. Standard Registration $125 | WAEYC/NAEYC Member Discount $100 *Member # must be provided in order to receive discount. Yes, I understand that my check must be received by April 10th to hold my spot at Rejuvenate. TOTAL DUE: $125. Please make out checks to PNW Chapter of WAEYC and mail by April 10th to PNW Chapter of WAEYC, PO Box 2264, Lynnwood, WA 98036. For questions, please contact pnwchapterwaeyc@gmail.com or call 360-303-3286. TOTAL DUE: $100. Please make out checks to PNW Chapter of WAEYC and mail by April 10th to PNW Chapter of WAEYC, PO Box 2264, Lynnwood, WA 98036. For questions, please contact pnwchapterwaeyc@gmail.com or call 360-303-3286. Scholarship Applications are Due by April 7th at 11:59 PM. Please refer to your confirmation e-mail for the scholarship application link. By clicking below, you understand that you will need to complete this form in order to attend the conference. Copyright © Pacific Northwest Chapter of WAEYC. All Rights Reserved.